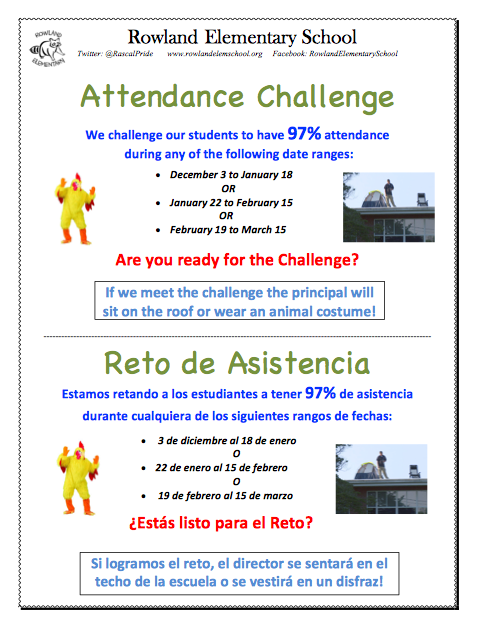 Our next Attendance Challenge is happening now! The date range for the challenge is January 22 to February 15. Let's make good attendance a top priority.